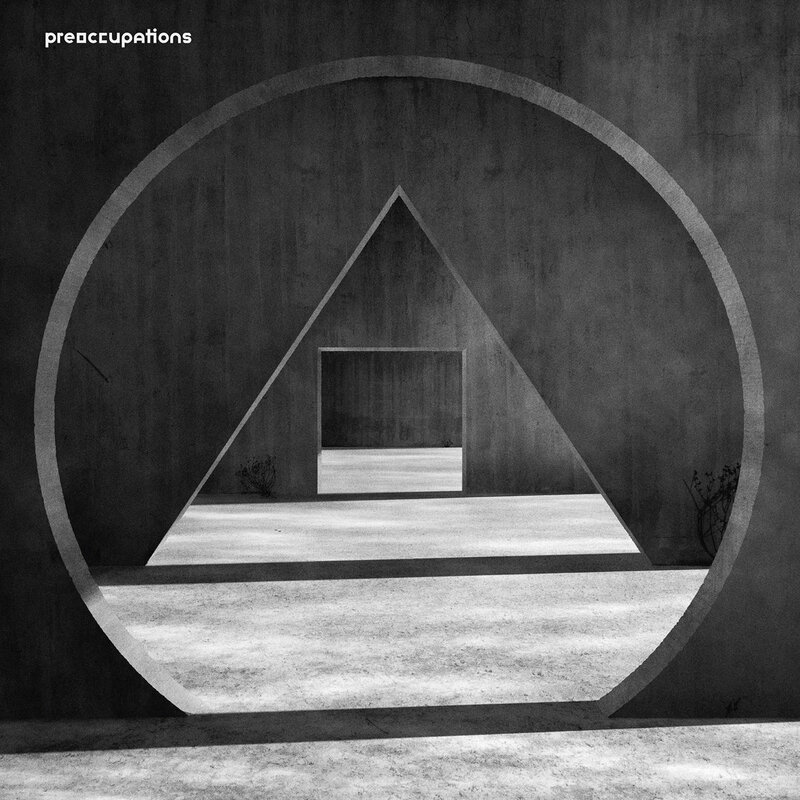 Canadian post-punk outfit Preoccupations are back with their second album as Preoccupations and third overall (band was formerly known as Viet Cong). On first listen the band sound less expansive than on previous albums, with no lengthy epic this time around. They sound tighter and leaner than before, distilling a mechanised, robotic sound on opener Espionage. The track is all programmed beats, swirling keyboards and prominent bassline, accompanied by Matt Flegel’s deep croon, singing about a ‘sense of doubt’. Disarray has an almost effortlessly catchy melody, with bright keyboards and is one of the stronger tracks here. Antidote opens with a crashing drumbeat reminiscent of the Sisters of Mercy’s Dominion before morphing into an updated Bowie-style rave up which actually works pretty well before ending with an unnecessary outtro of clattering drums and chanted vocals. Solace has a really strong bassline with spare, economic guitar work. When they slow things down there are mixed results. Manipulation drags a bit, with a slightly overwrought vocal. On the other hand Doubt doesn’t overcomplicate, sticking to a slow, deliberate synth pattern. Industrial-sounding instrumental Compliance adds a bit of variety, its brooding keyboard growls ending the album on a high. Nothing outstays its welcome with most tracks under five minutes long, and the whole album just exceeds 35 minutes. While the album is undeniably of good quality, there are few surprises, and there’s a feeling that this stuff could have been created in a post-punk lab, adding essence of Joy Division, a dash of Wire, filtered through Talking Heads etc. Possibly time to mix up the formula?